GREATER FORT LAUDERDALE, Fla. (August 1, 2018) – Spatember is the perfect month for a relaxing weekend getaway or staycation in Greater Fort Lauderdale. The destination’s popular annual spa month invites residents and visitors to disconnect from the everyday and experience some of its most coveted spas. Available from September 1-30, 2018, the destination’s top spas offer special packages and services for $99, including signature full body massages, exfoliations, facial massages, masks and eye and lip treatments. The Spa at Lago Mar, Lago Mar Beach Resort & Club: The Spa at Lago Mar is known for being a premier place for all body/mind/spiritual needs. The Spa features traditional services and focuses on preventive approaches to a healthy lifestyle, promoting balance and harmony within. 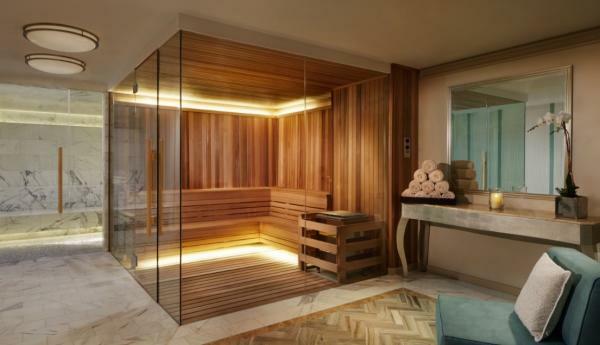 The Ritz-Carlton Spa, Fort Lauderdale: Guests can gently melt away their stress and unwind in The Ritz-Carlton Spa’s luxurious relaxation lounge and treatment rooms. Pure Spa, Pelican Grand Beach Resort: At Pure Spa, each treatment is delivered with a five-star level of personal care and the utmost attention to detail. Additional tax and gratuity may be applied to original treatment cost. For more information or to book a service, visit sunny.org/spatember. Spatember also coincides with Greater Fort Lauderdale’s Crave GFL Restaurant Month, a celebration of the destination’s best culinary offerings. Throughout September, top restaurants offer three-course prix-fixe dinners for $35 and; new this year are $45 three-course prix-fixe menu options. Both deals can be combined with other destination-wide promotions, including the Greater Fort Lauderdale Convention & Visitors Bureau’s Vacation Like a VIP package, offered exclusively at upscale hotels comprising the Resort Collection properties, and the 2-for-1 Summer Savings Program, which includes more than 45 buy one, get one special offers on land, sand and sea attractions.